Contango ORE: An Intelligent Gold and Rare Earth Speculation? When Benjamin Graham described the distinction between investing and speculation, he did not do so in order to make a moral statement condemning speculative behavior. Instead, he was attempting to make a very important point with the goal of ensuring that individuals understand when they are engaged in an investment operation versus indulging in an outright speculation. The individual who makes a financial commitment based on speculative motives but thinks that he is actually investing is almost sure to realize unsatisfactory results over time. In contrast, there are some disciplined investors who are able to speculate “on the side” in a manner that does not jeopardize their investment portfolio. Contango ORE — An Intelligent Speculation? Despite our best efforts as value investors to avoid anything that may resemble speculation, sometimes unique circumstances can arise that force us to replace passive avoidance of speculative behavior with an active choice. Such a scenario will soon face shareholders of Contango Oil & Gas who will receive one share of Contango ORE (CORE) for each ten shares of Contango in a spin-off scheduled for December. 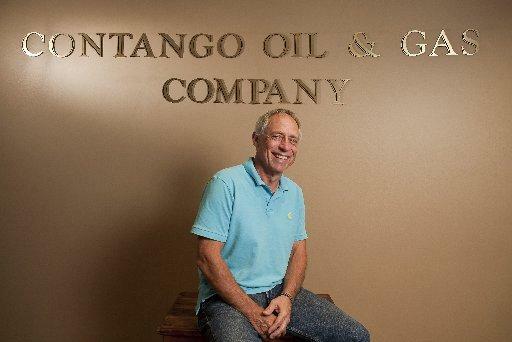 Contango has attracted a following among value investors and has been capably managed by Chairman and CEO Kenneth Peak since the company’s founding in 1999. From an initial investment of his entire $400,000 life savings, Mr. Peak has built a company that today has a $880 million market capitalization and is one of the lowest cost producers of natural gas operating primarily in the shallow Gulf of Mexico. The company has an exemplary record of success in exploration and intelligent deployment of capital. Management has provided a short document describing the history of the company (pdf). In 2009, Contango set up a wholly owned subsidiary to engage in exploration of gold and rare earth minerals in Alaska. While this initiative is tiny in comparison to Contango’s main business in oil and natural gas, by management’s own admission, minerals exploration is highly speculative and management has no particular expertise in the area. Company filings over the past year have made it clear that Contango’s primary business strategy remains in oil and gas. Contango is now planning to spin off CORE to shareholders. CORE is clearly speculative, and Contango shareholders are forced to make an assessment: Is this an intelligent speculation or should the shares be sold? Management has candidly stated that they do not have any experience mining for gold or rare earth minerals. The company has no revenue or any prospect for revenue generation in the near future. The $3.5 million cash infusion that CORE will receive at the spin-off will probably cover substantially less than two years of operations given that CORE plans to spend $2 million on exploratory drilling activities over the next twelve months, to say nothing of ongoing operating costs. There are no credit arrangements in place to provide funding if revenues do not materialize before the cash is depleted. On the positive side, the operation will be run on a shoe string budget and will share management with Contango Oil & Gas. CORE will have three part time employees including Mr. Peak and none of the employees will receive cash compensation for the foreseeable future. CORE will distribute restricted stock to directors and officers immediately prior to the distribution equal to approximately 4.5 percent of the common stock that will be outstanding following the distribution. CORE has an agreement with Avalon Development Corporation to provide consulting and exploration services and will be compensated with restricted shares equal to approximately 1.5 percent of the common stock outstanding after the spin-off. Gold and Rare Earths — Castles In The Air? Putting on our speculative hats, it is obvious that both gold and rare earth minerals have been attracting increasing attention in recent months. Gold is currently at a record high in nominal dollar terms and ominous stories about Chinese restrictions on rare earth production and export appear on a daily basis in the newspapers. With China responsible for over 90 percent of rare earths production, there is a clear need for domestic sources of these minerals and investor interest is high. Spin off situations often result in a temporary price decline of the spun off shares as holders of the parent company dispose of small stakes in what may be a peripheral business that does not fit their investment objective. In a situation where the spin off represents an investment opportunity, the initial decline in share price has often been a way for value investors to profit as a more natural constituency emerges for the newly independent company. In this particular case, we have a situation where the spin off represents clearly speculative assets. Many of the value investors who own Contango shares could very well decide to dump CORE shares given the speculative nature of the business. However, the countervailing force might be speculators who have bought into the gold and rare earths story and wish to gain exposure. In other words, speculators may build “castles in the air” and assume that CORE will be successful in its endeavors and bid up the stock. The very limited float could result in an interesting supply/demand dynamic. However, the likely $6 to $7 million market cap may put the company under the radar and it could be ignored. As we stated at the outset, CORE is a speculative company and it is obvious that the shares could end up being worthless. In fact, it is probably more likely than not that the shares will have little value in the long run. Nevertheless, Ken Peak has a history of success in extraction of resources from the earth’s crust and he could very well surprise us with a major discovery. In addition, speculators may build “castles in the air” and bid up CORE shares in an irrational way due to the fact that it has gold and rare earths exposure. We are inclined to retain the spun off shares as a “lottery ticket”, although we are under absolutely no illusions that it represents an “investment operation” as defined by Benjamin Graham. Important Note: The record date for the distribution was October 15, 2010. Current buyers of Contango Oil & Gas will not receive CORE shares at the spin off. Although we have a disclaimer section linked to each article, we must stress that CORE is speculative in nature and this article is NOT investment advice or a suggestion to buy shares. Disclosure: The author of this article owns shares of Contango Oil & Gas.